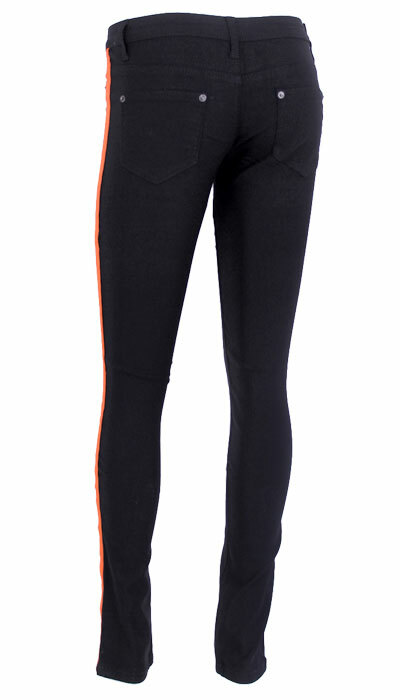 Tailored cotton/Polly/Stretch tuxedo pants. 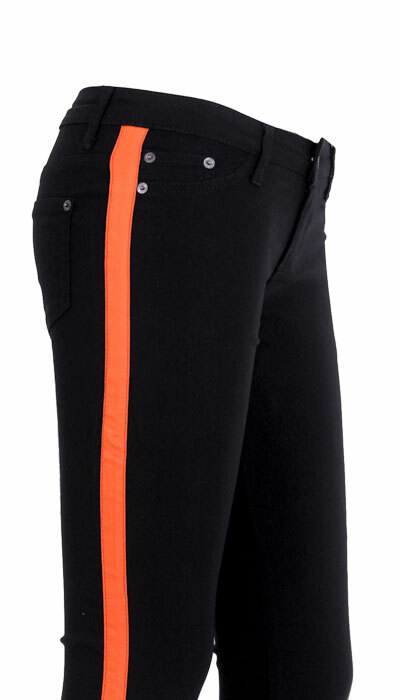 Flattering skinny pant cut with orange stripe down each leg. Four and half pockets, Zip fly with top button fastening.